Car shopping in the Valparaiso area? 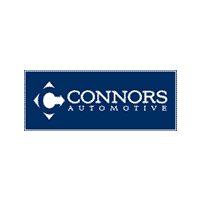 Look no further than the new vehicle inventory at Connors Chrysler Dodge Jeep Ram. We have a wide variety of models in stock, from the popular Jeep Wranglers to the fan favorite Chrysler Pacifica. Read through our car buying checklist to help you find a model that best suits your budget and driving needs. We always have rotating vehicle specials to help you save during the car-buying process and a knowledgable sales team to make everything less stressful. We can also provice you with your current vehicle valuation if you wish to trade it in to help pay for your new Chrysler, Jeep, Dodge, or RAM. You can also take time to compare the benefits of buying new vs. buying used. When you’re ready to take your Portage commute to the next level, stop by Connors Chrysler Dodge Jeep Ram to peruse the Chrysler, Dodge, Jeep, Ram models for sale in Chesterton, IN! Contact us today.